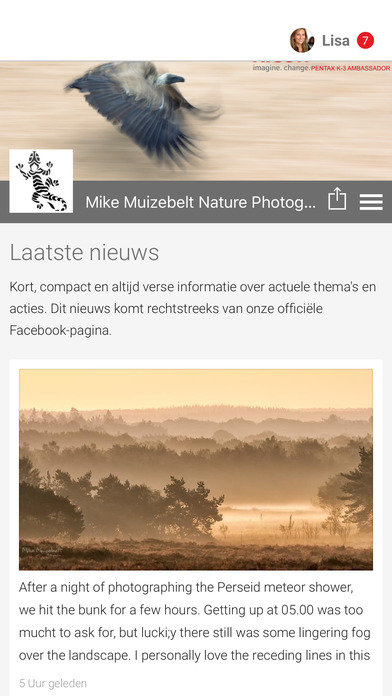 Nature photography Mike Muizebelt is now available as an official smartphone app! All the latest images and news delivered straight to your pocket. Anytime the app is updated, your smartphone lets you know. And because a smartphone is after all a phone, you can instantly make contact at the touch of a button. 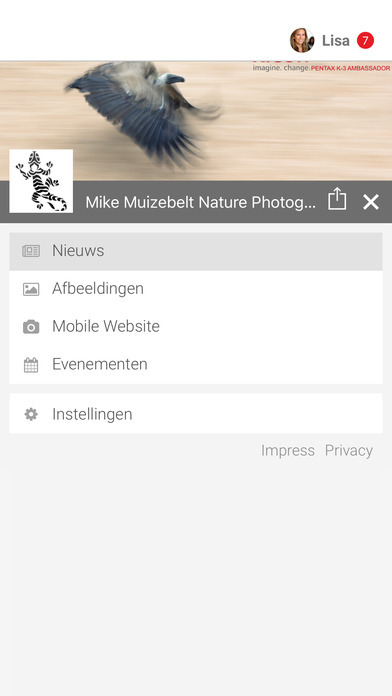 The mmfoto.nl app always gets you a direct line.